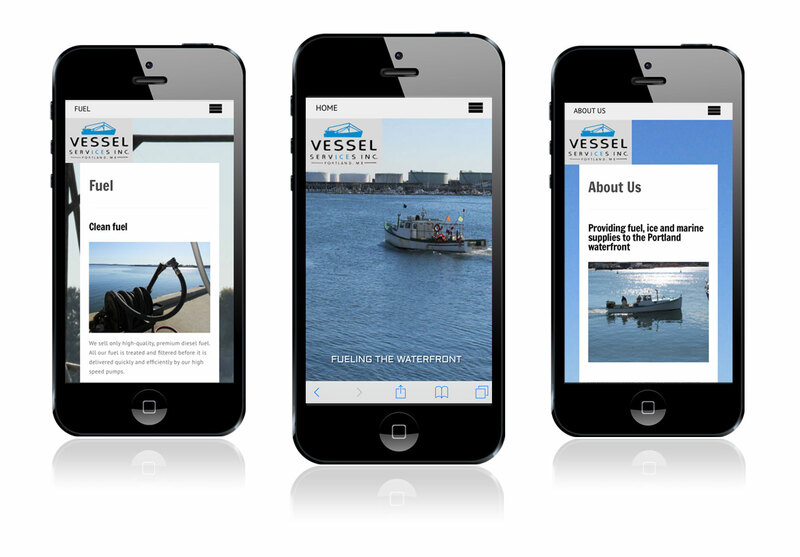 Vessel Services is the primary resource on the Portland waterfront for servicing the local fishing fleet. The company was interested in expanding their ice service beyond the waterfront, and developing it into a separate but related brand while building on the brand recognition of the Vessel Services name. 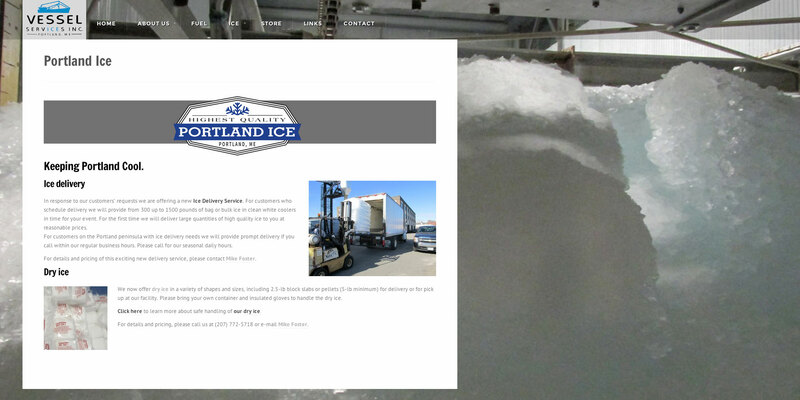 Wood and Company created an updated, mobile-responsive website, reinforcing the brand’s connection with the Portland working waterfront. Judy developed a logo for the ice division using a classic retro-industrial style, building on the era and style of the Vessel Services logo.